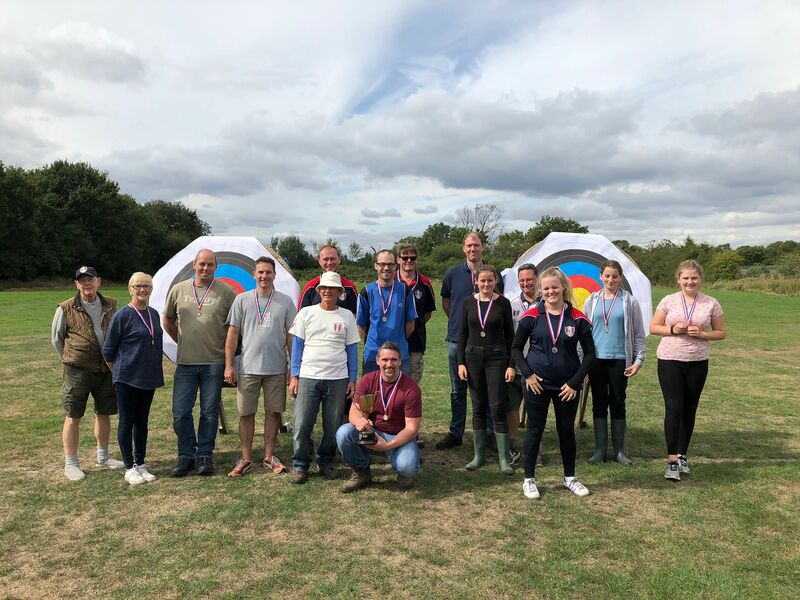 A hotly contested club championship saw Paul Simpson take gold from Giles Adkin in the mens recurve. And daughter Alice Simpson won the Under 14s with an amazing score of 940. Jeff Tucker took the Longbow gold and his performance was the Chairman’s choice for the overall trophy! Thanks to all those who helped set-up the field, and for the fantastic barbeque!